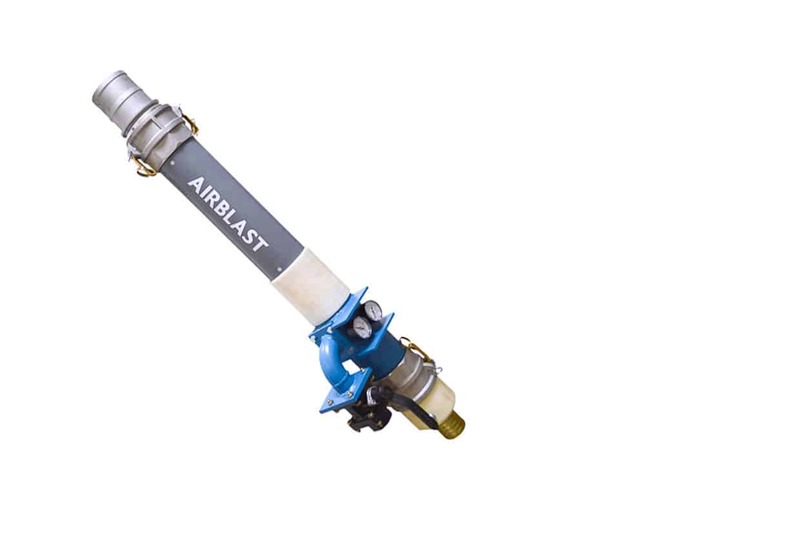 On larger Aerospace PMS applications, Airblast Eurospray incorporates the RAM DPS 3000 which allows the separation and removal of dense particles such as sand and metal chips from plastic or starch-based blast media. Eliminating dense contaminants from media prevents these heavier particles from causing crack and fatigue initiation sites in metallic aircraft structures and allows the user to meet aircraft manufacturers and military specifications for media cleanliness. 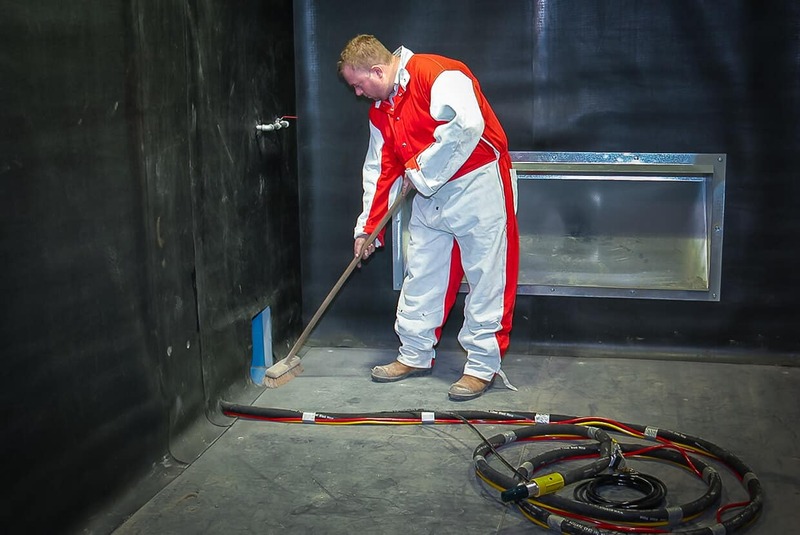 In large abrasive blast rooms and aircraft hangar systems, media can become contaminated. 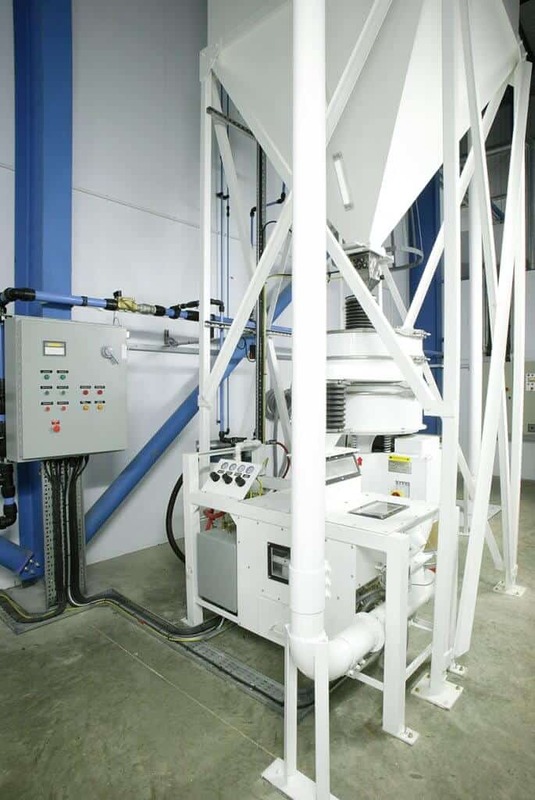 Even with the best separators, non-ferrous, non-magnetic materials and sand can be mixed with the media. The DPS 3000 was developed to separate good media from contaminants that can damage the surfaces being de-painted. 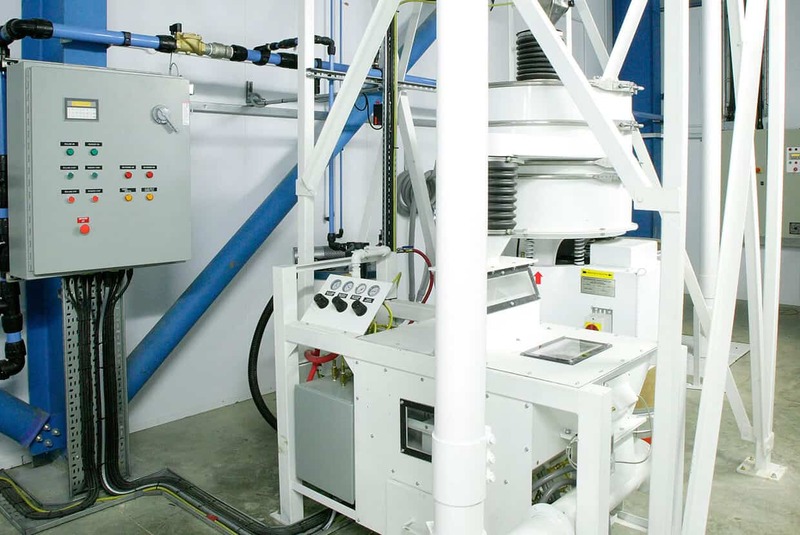 RAM Dry Stripping Machines have rapid and highly efficient media recovery and reclaim systems. 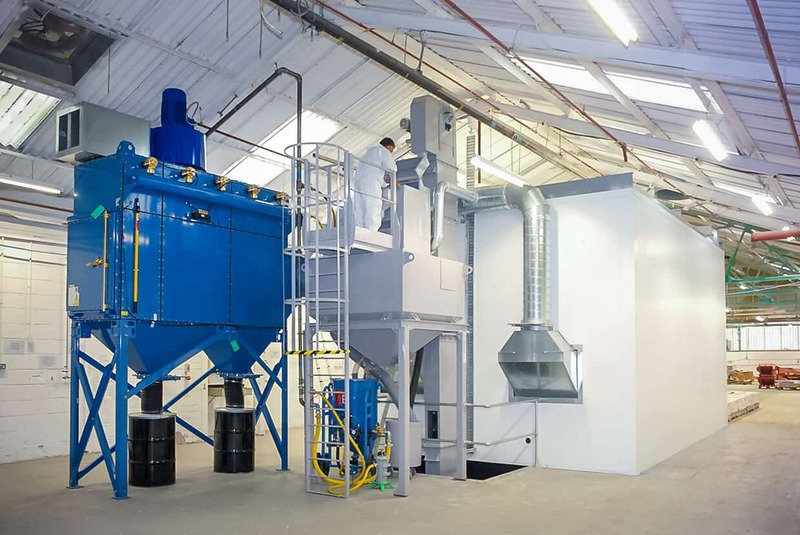 The reclaiming process consists of aerodynamic separation via a cyclone centrifuge, a dual adjustable air wash, a vibrating screen and a magnetic separator. Paint, debris and other foreign matter are removed and routed to disposal containers. Cleaned media is then ready for reuse. 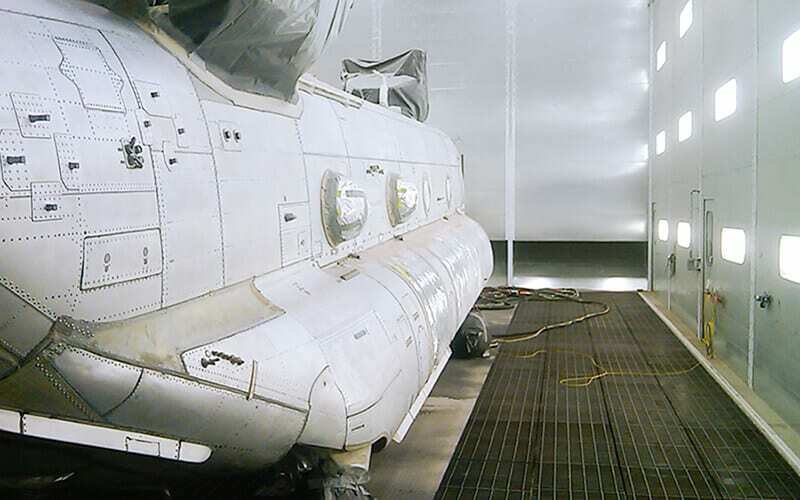 Although this system has been highly efficient for most operations, it will not remove non-magnetic dense particles like sand that can occur in airframe hangar and large booth systems. In such systems, large objects are cleaned using an open blast nozzle with the abrasive falling to the floor. The possibility of non-magnetic, non-ferrous dense particle contamination of the media being recovered from the floor has led to the development of the DPS 3000. 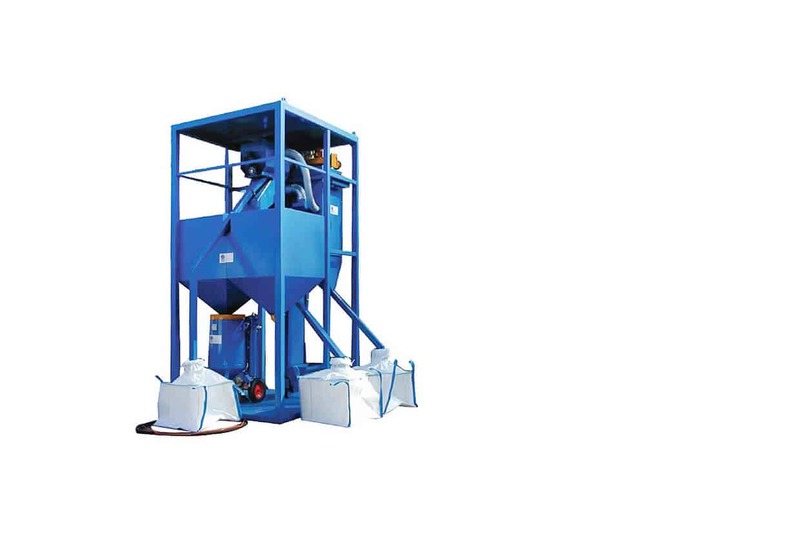 The DPS 3000 provides high volume, dense particle separation. The unit is a processing device in which media continuously enters a chamber where it is mixed with air to form a fluidized dry mixture. Dense particles such as sand and metal chips sink to the bottom of the cleaning chamber. A specially designed gate mechanism on the bottom of the chamber is activated intermittently to discharge heavy particles. Extensive testing has proven the DPS 3000 is capable of removing 80% and more of the dense particles from typical plastic media. For example, media contaminated to the level of 200 ppm (0.02%) when processed in the DPS 3000 exits with a contamination level of only 40 ppm (0.004%). 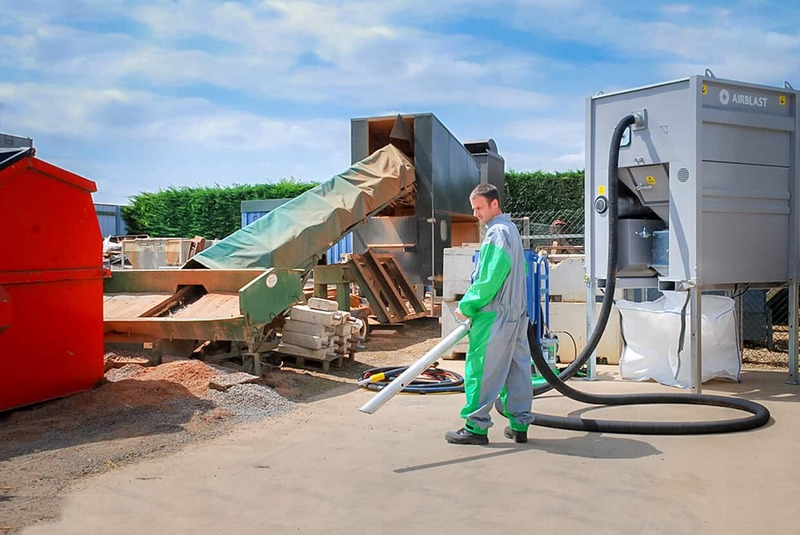 The RAM DPS 3000 is available to recycle plastic or starch-based media, which is used to clean parts and strip coatings from aircraft, auto, lorry, railcar, and bus bodies. The AbVac is an electric suction unit designed for the collection of abrasive into a bag.